If you have experienced an injury at the workplace it is important for you to know what your rights are as a worker and that you are entitled to file a workman’s compensation claim against your employer. This is not anything spiteful against the people you work for but needs to be done so that you can be sure you get the benefits, coverage, and protections you are entitled to when you get hurt. Many people may not understand the laws, may be afraid to file or not file in a timely manner, all of which can end up costing you potential benefits. When you find yourself in this situation you want to make sure that you hire workers compensation attorney in Long Beach that can help guide you through the process. An experienced workman’s compensation lawyer will have a deep knowledge of the laws that apply in your state. They will be aware of any deadlines you may need to meet for filing, can help you get the proper medical attention and treatment even while your case is pending and they can make sure that all of your rights are always protected. As you representative, your lawyer will be able to assure you that you will not face repercussions for filing a claim and if your company does try to fire you or deny you your job they can bring a claim against the company for your protection. The right lawyer is going to know just what steps need to be taken in your case and will keep you up to date of everything that is happening with your case all of the time. They can help you file the correct forms, make sure you are available and have representation for any hearings you may need to attend and work to get you the best settlement possible in your case so you do not have to worry about being out of work or paying your bills. Going through a claim of this nature is never easy and can be difficult to understand. 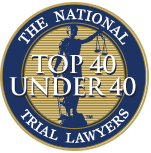 The right attorney can help get you through the process and answer all of your questions to help put you at ease. Take the time to consult with an attorney so you can discuss your case and see what all of your options are moving forward. 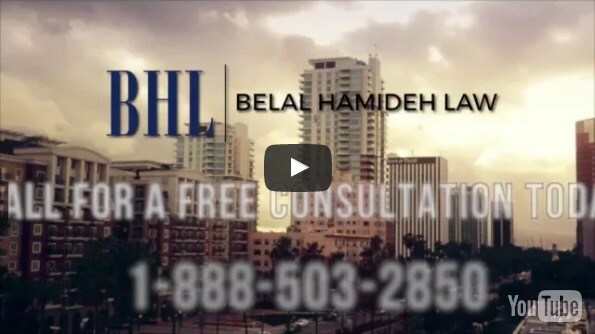 Call Belal Hamideh Law for a free quote.